The other day, I was discussing genealogy with a friend and she said to me, “So, genealogy is just one big walk down memory lane?” I thought about this, and while I think that genealogy might be more of a drive down the memory interstate highway, I could not get this idea out of my head. I began to think of how some of us like to mosey down memory lane. For some, this might involve looking through old emails or pulling out a memory box. For me, it means flipping through old yearbooks. I recently discovered that Ancestry.com has a database of United States middle school, high school, and college yearbooks from 1880 to 2012. The database is searchable by names and dates, and it is also browseable by city, state, and school. Although the database is a bit spotty (much to my dad’s relief, the yearbooks from his years at the United States Merchant Marine Academy are not yet uploaded), I still found it to be a great resource to help me (literally) put a face to the names in my family history. Aside from being able to see one’s relatives in their youth, I enjoyed finding the clubs and activities that my family had participated in. 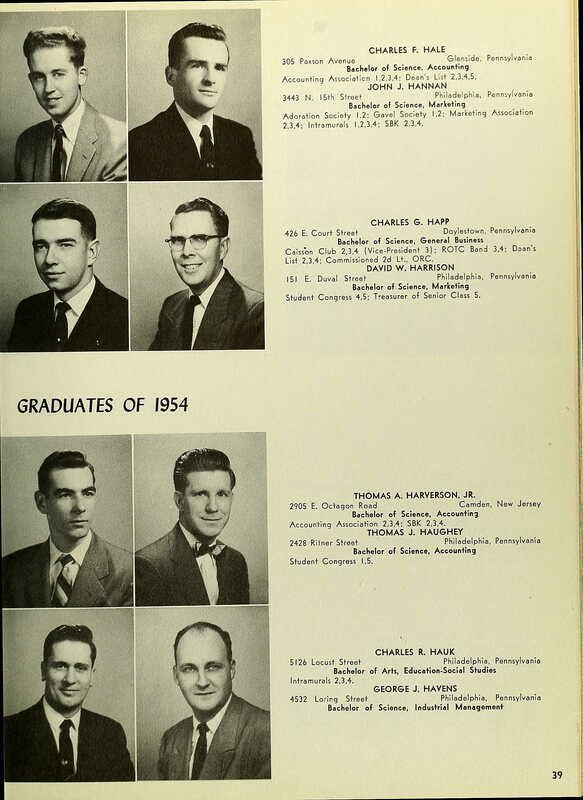 For example, in my great-uncle Bill Happ’s 1947 senior yearbook from Doylestown High School in Pennsylvania, I saw that he seemed like quite the active person, especially with the basketball team. (As a side note, this is something that seems especially funny to my family since the running joke is that the Happs are all too short to play basketball.) While Uncle Bill’s association with basketball came as a surprise to me, finding my grandfather Charles G. Happ’s involvement in ROTC band when he graduated from La Salle College in 1954 was completely expected. My grandfather has always been a musical person, often active in multiple bands at any given time. Something that took me by surprise when looking at a photo of my grandfather when he was a senior in college was the resemblance between him and my 19-year-old cousin, Eric. People have always told me that my mom and I look very similar, but this was the first time that I saw such a direct physical correlation between my generation and my grandfather’s generation. In addition to tracking my family’s history (and appearance) through yearbooks, I also found it interesting to track the evolution of yearbooks themselves. In my grandfather’s 1954 yearbook from La Salle College, as well as my great-aunt’s 1968 yearbook from Gwynedd-Mercy College, their full home addresses can be found listed. My high school yearbook (from 2009) and my college yearbook (from 2013) do not even list my home town, let alone full address. I suppose this is a reflection of an evolution of how we communicate and correspond with each other, from writing letters to finding old classmates on Facebook or other social media outlets. After searching through yearbooks for a few hours, I came to a realization – although yearbook formats may have changed, one thing hasn’t: those cringe-worthy and awkward photos that pop up in every yearbook. For now, I am counting my blessings that Ancestry.com has yet to upload my high school yearbook! It is fascinating to me how children can sometimes NOT look like either parent, but look exactly like a great aunt! And I once knew a young boy who looked EXACTLY like his grandmother, and did not look at like either of his parents!! I’ve had a 53 year “crush” on my 4th grade teacher. I wasn’t alone: two of my then and now closest friends were right in there with me. I have (somewhere) a blurry black & white snapshot of the four of us on our way to a visit to the Boston Museum of Science…this is 1952…and she’s driving. (Later she takes us for ice cream!!) Many years ago I start searching for her on Google. 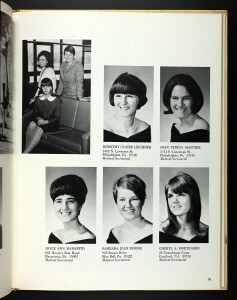 I find out she gaduated from Framingham State in 1951. I enquire…no results. I check with the Quincy School offices…ditto. More recently I start again. 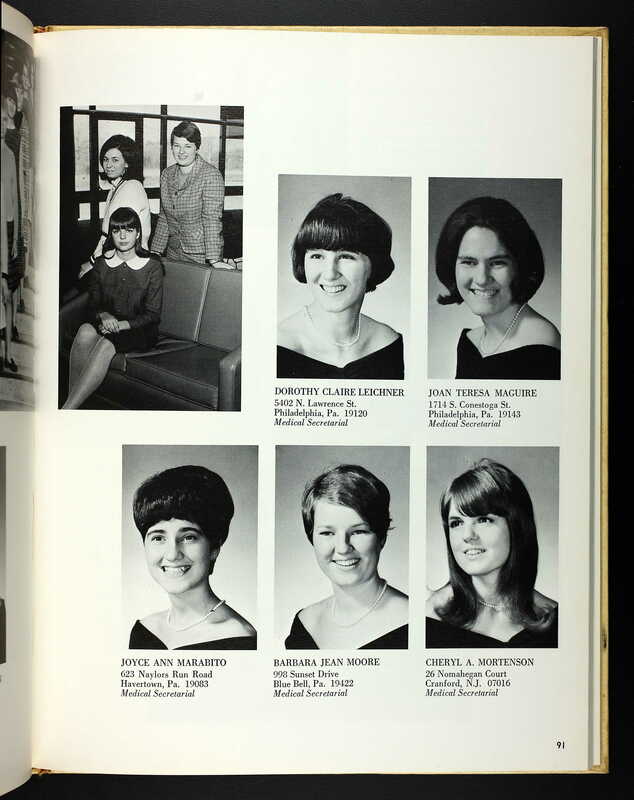 I find her yearbook on line; I search her name and find her personal picture and a blurb, AND five additional entries, some with group pictures. Among many other activities, she was the Editor of the YEARBOOK! More time passes… I contact the Official Alumni group of the school. They respond with some details, such as her married name. I go back to Google and find many entries. I send e-mails and call a few phone numbers, leaving messages… The day after Christmas she calls me back! She remembers me well, she says. We talk for a half-hour… a most pleasant conversation. She and her family live in southern Conneticut, so I hope that I and my wife may visit her this spring or summer. All that work paid off! I hope that what I’m doing on my two parental lines: Ormon and Countway: both originating in Nova Scotia in the late 1700s and “meeting” in Quincy; and those of my wife’s dad and mom: Hogan and Cruickshank – both from the Gloversville to Northville, New York state area in the mid-1800s to the early 1900s, will prove as fruitful. I’ll keep pluggin’. All help is appreciated! I came across a picture of my great-great grandfather and the resemblance to my brother is uncanny! I consider it more like time travel, but I can still have indoor plumbing as I do it! 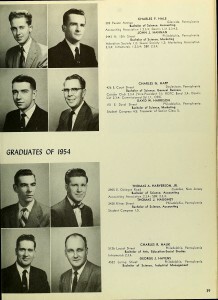 Because my father-in law was a high school teacher and often a class advisor, he had a long string of yearbooks that are not on the Ancestry site. I have tried to donate them to Ancestry, but I get no response, and I don’t know where to send them. Does anyone have a suggestion? The address was posted in April 2014. The website in 2010 so that may be invalid. Good thing you hung onto them! Good luck. 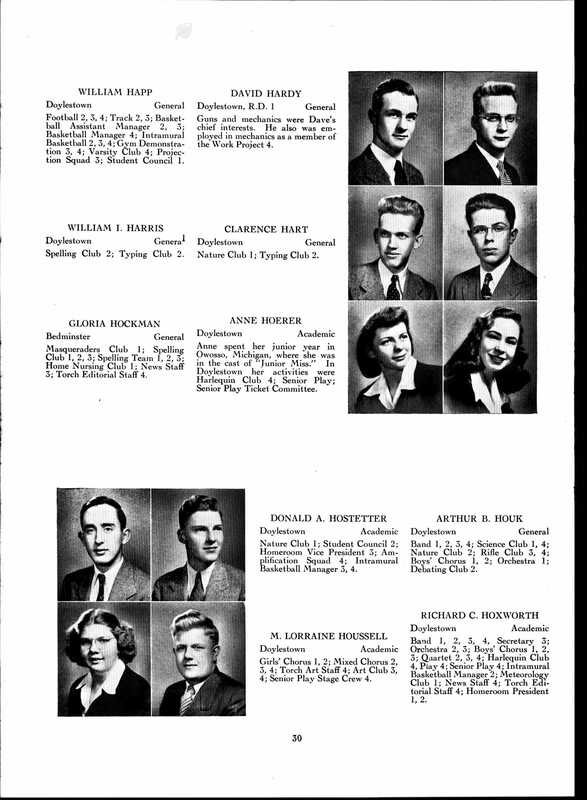 I just noticed that the Digital Public Library of America is digitizing yearbooks and making them available to the public. I did not explore how you get them to this library, but if you have books to donate at least they would be going to an organization that is not going to charge us to view them. They also did a great job at one I looked at. You scroll through it just as you would an on-line catalog. They make available digitized stuff from other libraries, so the way to get your items (yearbooks) available is to donate them to a “hub,” one of the libraries that feeds into DPLA, such as a state historical society. DPLA has a list of hubs by state. I had a rather bad experience with this. first a disclaimer: my memory isn’t always as it should be; I think this was with Ancestry, but may have been elsewhere, altho I don’t know who else is digitizing yearbooks. That said, I have a good-sized collection from Colorado, some from tiny highschools, some over 100 years old. I offered the whole collection to be digitized and was dismayed to learn that they not only want to disassemble and then destroy the books, they expected ME to pay for all postage and other charges. I asked point-blan: you want me to pay you to get something that you charge others for? Really? They’re going to my local history library now. Ancestry should offer to reduce the subscription price or give a credit for every new high school/college annual they receive that they currently do not have online. Since donors do not get the annuals back plus out cost of postage to send them to Ancestry–there is little to encourage people to donate these resources. I have a feeling a $10 to $20″bounty” off subscription price for every school annual donated would greatly expand this program. I would also like to give it a new home, but likewise, I will not pay the postage. I think those photos look find…why do you find them cringe worthy? I had a mullet in the 1980s and it showed in my yearbook senior portrait. I realize that was the style then and I have nothing to be ashamed of, or cringe at.